Hello, I found my way here while doing research on my newly acquired snake (Rhino-jack). I found jmcrooks thread on Phyllis, and after reading the whole thread it has been a great help on getting my new little guy set up properly and giving me an idea what to expect with him. I was working Repticon here in MD. 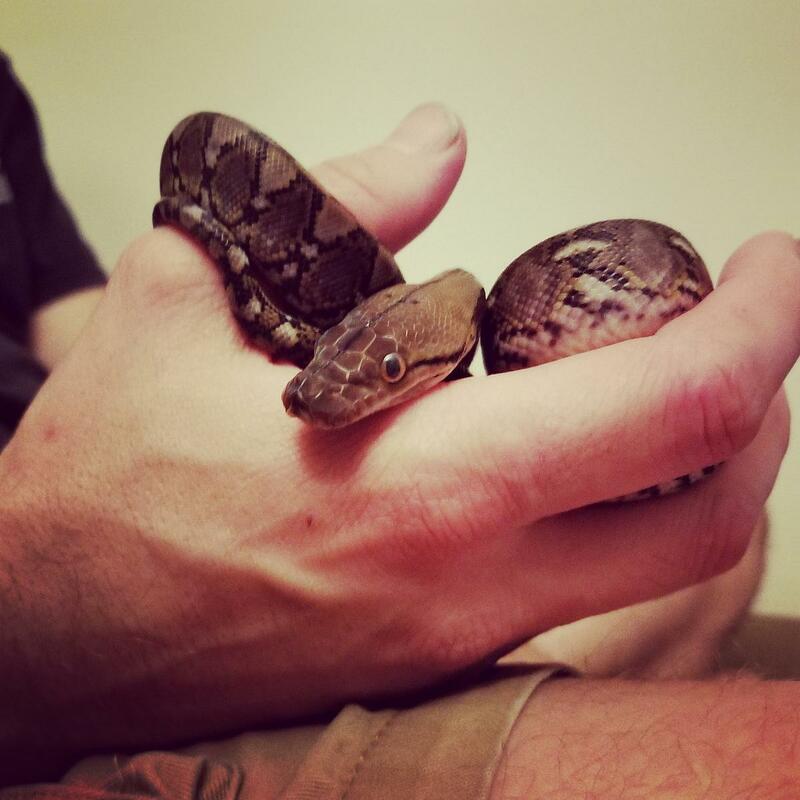 On a whim my wife suddenly decided she wanted a “little big snake”. We found one vendor that had some dwarfs then found another vendor (we knew him and he had been in the business for 30 years, mostly with balls and corns), he had a male and female labeled as super dwarfs. Since we wanted a smaller snake we handled the male and chose him. 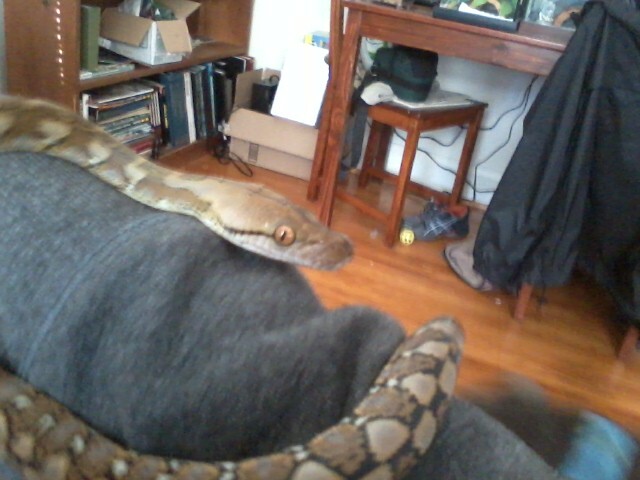 At the time of shopping I knew nothing about retics and what questions to ask like their percentage of dwarf/mainland. The vendor did mention Kalatoa and that the mother was 7’ and the father was 5’ and had pictures of both. The vendor did say he wasn’t the one that bred them but was selling them for someone from the Philly area that didn’t travel. From what I can tell, Rhino-Jack’s size and color pattern matches that of other 100% Kalatoa SD. My only concern is that he might not be 100% since it seems like there aren’t many of these out there yet and most breeders/vendors will try to mention the blood line or who they were imported from. Is there anything to look for to make sure he is 100% as I was told? I’ve seen mention of counting head scales maybe? 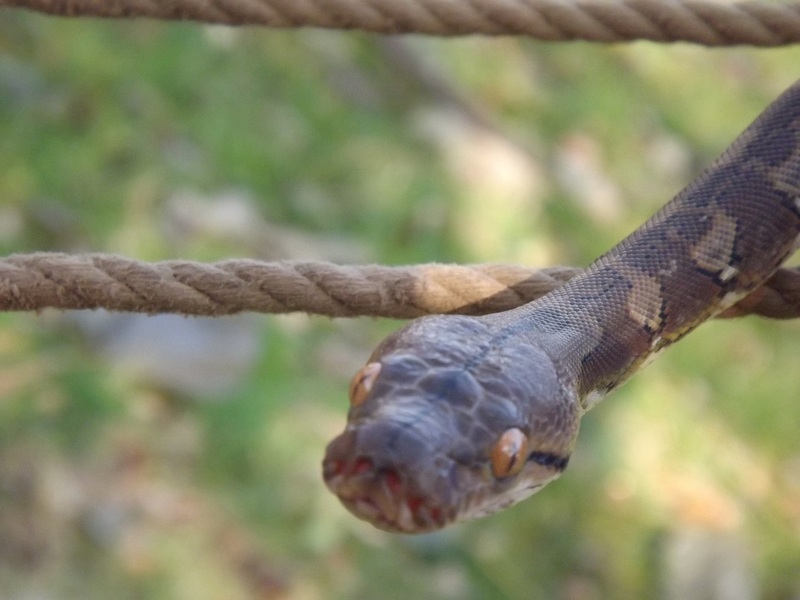 Talking to the vendor again recently, he mentioned that he probably screwed himself by selling the snake so cheap and should have asked a few hundred more. Maybe this is just a case of buyer and seller not know what they are dealing with. What is the going rate for these snakes? So anyways here is my little guy Rhino-jack at roughly 7 months old, 24” and 120g. He’s pretty calm and even better than one of my fiery little female corns. The only time he has struck at his enclosure was when I was walking by, he had a mouse in there with him that he could smell but hadn’t found yet. No aggression at all when getting picked up or handled. He’s been eating a medium mouse once a week so far. What should he currently be eating and at what intervals? 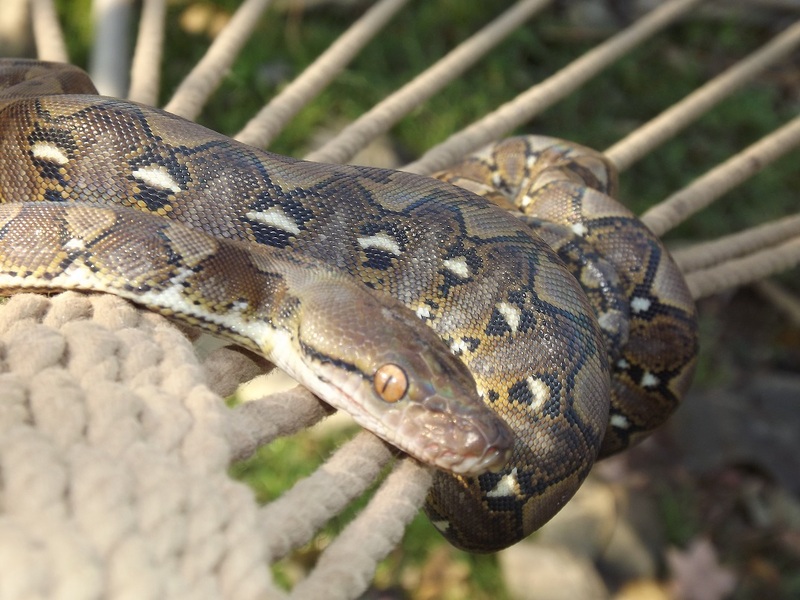 I keep finding Burmese and full size retic feeding schedules but not much for the SD’s. In the month that I’ve had him he hasn’t yet displayed any signs of pushing when he gets hungry. Sorry for the crappy cell pics, this little guy never sits still for very long. Congrats! No way to really tell if it's 100% SD unless you talk directly to the breeder but based on parent sizes it's probably at least a very high %SD. Going rate for pure SD seems to be in the $500-$600 range depending on the seller. Glad Phyllis's thread was helpful. Keep this one update, I'm sure many of us would love to compare notes as he grows. Looks like a nice little critter. Cheers! Nice! I love Retics and the Dwarf Retics! I got this little guy for $225 so I'm starting to feel like I got him for a steal of a price. If he is indeed 100% SD then yes, that's a bargain. 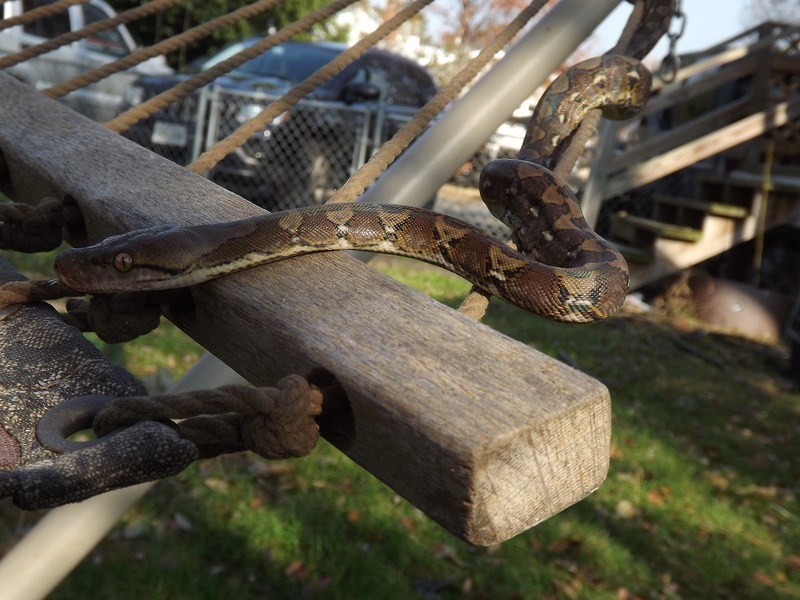 Congrats on the handsome new retic! Sunday I managed to get some of my snakes outside for a photo shoot, so he got to shine in the sunlight. On Wednesday he went into blue. He's about 8 months old now and just shy of 30". Last edited by 67temp; 12-07-2017 at 10:33 AM. Last edited by Justin83; 12-07-2017 at 12:25 PM. Lol I was talking to a gal last night about a burm. 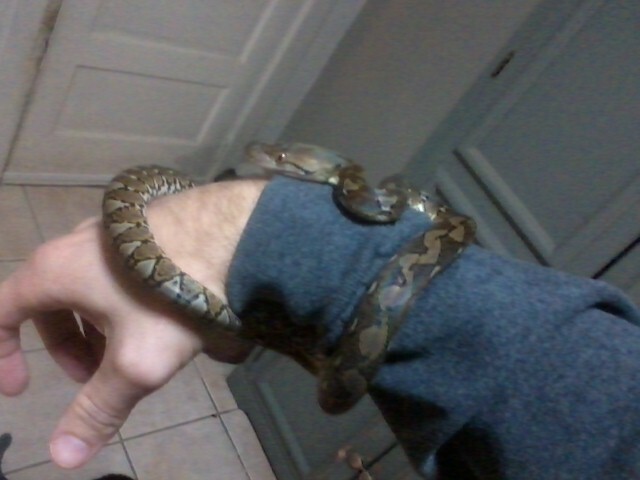 Almost was sold but then this morning when I woke up, I thought if I'm going to get another large snake, i'll probably get another SD retic. Last edited by Sauzo; 12-07-2017 at 07:14 PM.